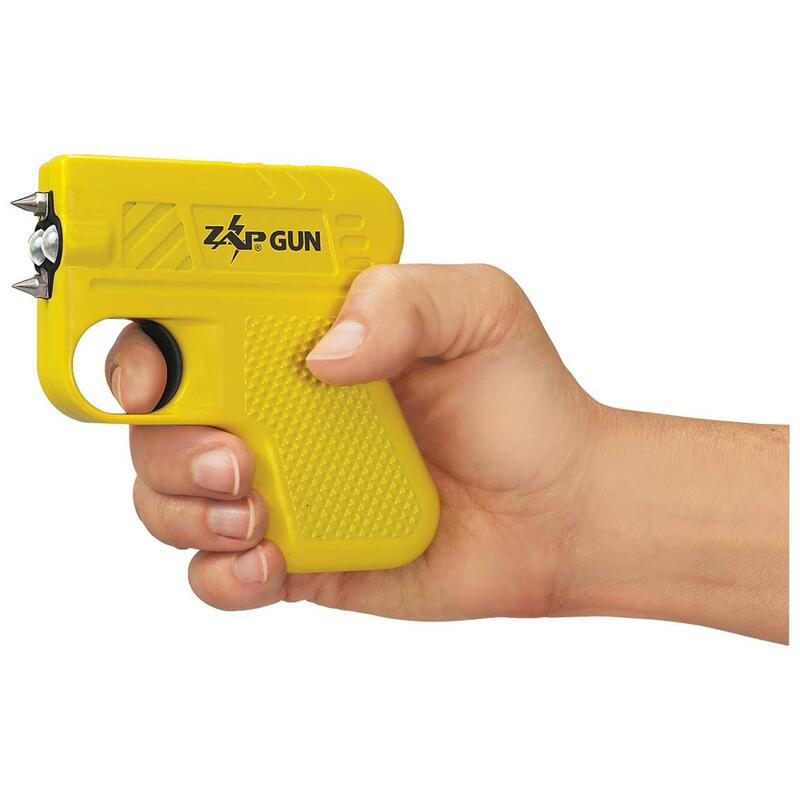 Real protection requires a real Stun Gun. 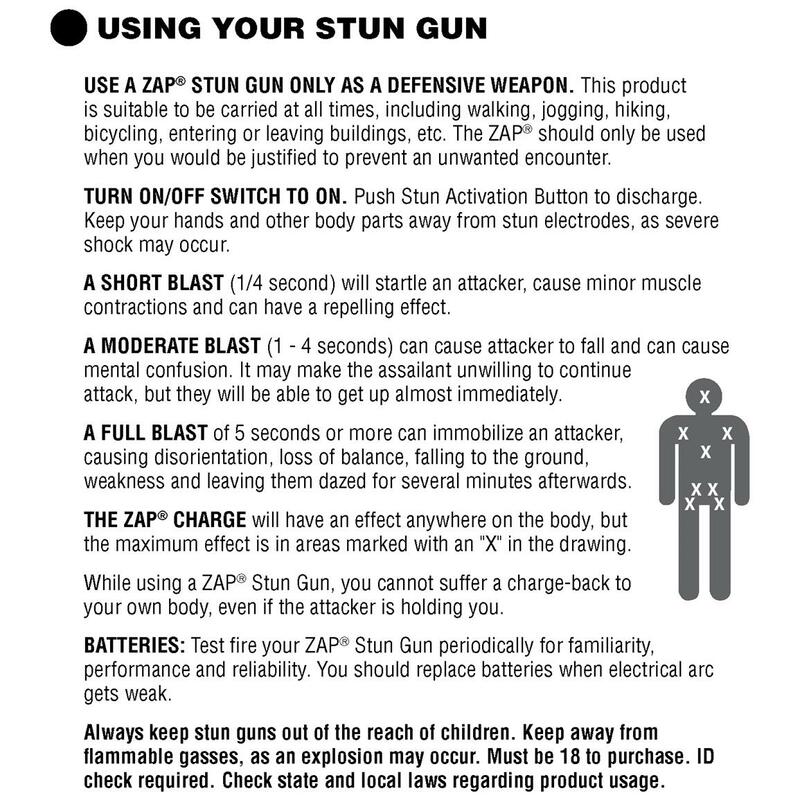 When your personal safety is at risk, reach for a trusted name in Stun Guns, reach for ZAP®. 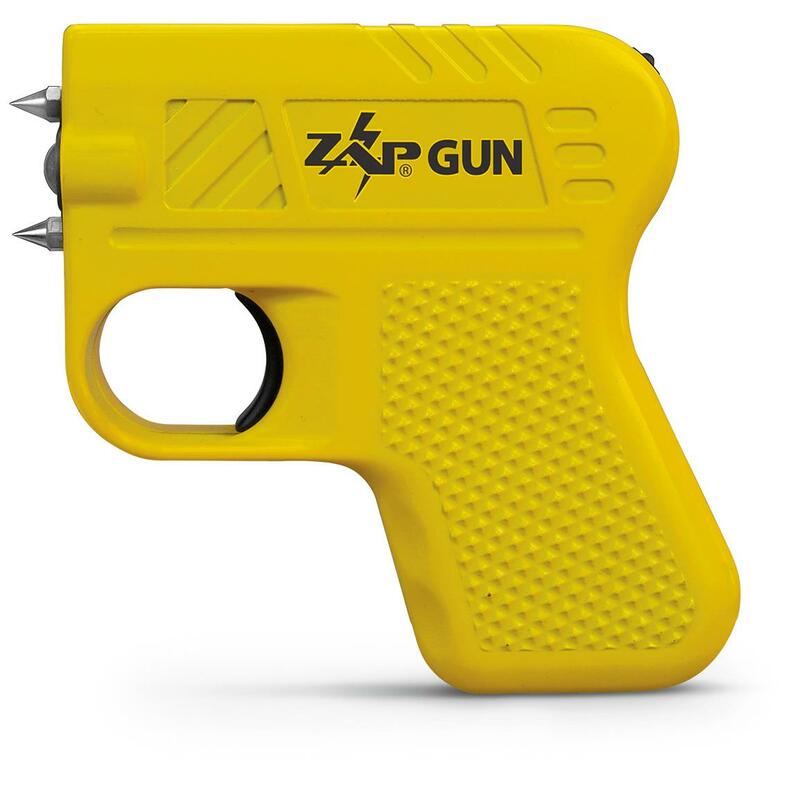 This ZAP GUN has an easy-to-carry design and is capable of hitting an assailant with 950,000 volts of force. When triggered, the ZAP sound it creates deters attackers from taking another step. The soft rubber coating, non-slip molded grip gives you an ease of control, as well as a firm grasp at all times. The wrist band makes it impossible to remove it from your possession. The on/off safety switch adds a level of protection against accidental discharge. 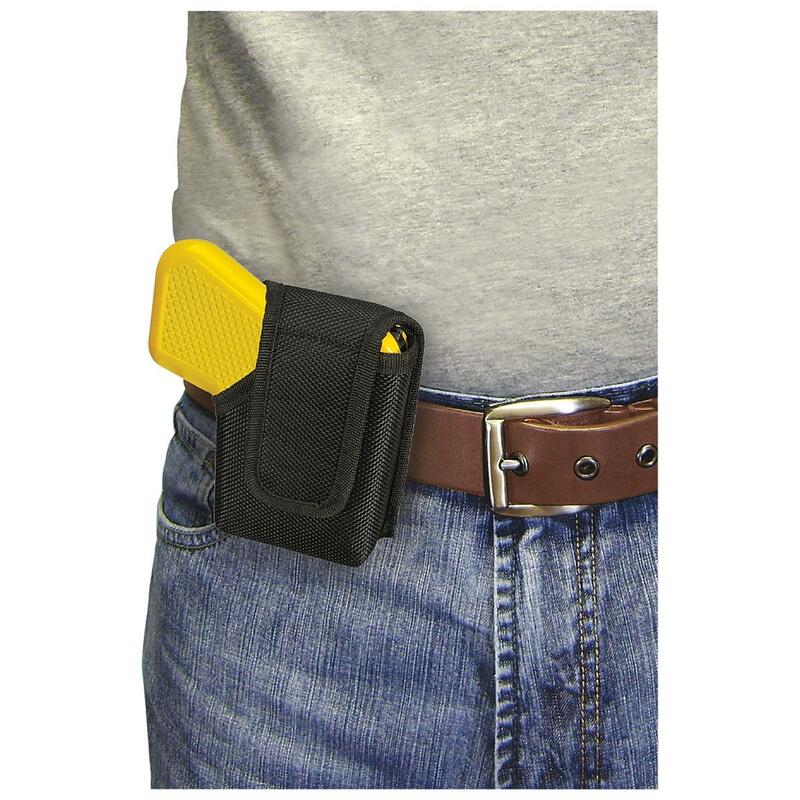 The ZAP GUN includes a wrist strap, 3 CR2 batteries and a holster with belt clip, to makes sure it's always right at hand. The batteries have a life of approximately 2 yrs. Plus, the design resembles a standard handgun and is very easy to handle. It couldn't be easier than that. This gun was new to the market for 2016, and Sportsman's Guide was the first to offer it! The ZAP GUNTM also houses a 90-lumen Flashlight to illuminate those dark corners. On a full charge, the Flashlight lasts 3+ hours. The bulb will last an unbelievable 20,000 hrs. This Flashlight helps you navigate even the darkest parts of your parking garage, and the Stun Gun is already out should you run into trouble. Measures 4" x 4" x 1"d.
Keep yourself safe and order now! Dimensions: 4" x 4" x 1"d.